Niʻihau ( /ˈniːhaʊ/; Hawaiian: [ˈniʔiˈhɐw]) is the westernmost and seventh largest inhabited island in Hawaiʻi. It is 17.5 miles (28.2 km) southwest of Kauaʻi across the Kaulakahi Channel. Its area is 69.5 square miles (180 km2). Several intermittent playa lakes provide wetland habitats for the Hawaiian coot, the Hawaiian stilt, and the Hawaiian duck. The island is designated as critical habitat for Brighamia insignis, an endemic and endangered species of Hawaiian lobelioid. The United States Census Bureau defines Niʻihau and the neighboring island and State Seabird Sanctuary of Lehua as Census Tract 410 of Kauai County, Hawaii. Its 2000 census population was 160;  Its 2010 census population was 170. Elizabeth Sinclair purchased Niʻihau in 1864 for $10,000 from the Kingdom of Hawaii and private ownership passed on to her descendants, the Robinson family. During World War II, the island was the site of the Niʻihau Incident: A Japanese navy fighter pilot crashed on the island and terrorized its residents for a week after the attack on Pearl Harbor. The people of Niʻihau are known for their gemlike lei pūpū (shell lei) craftsmanship, and speak Hawaiian as a primary language. The island is generally off-limits to all but the Robinson family and their relatives, U.S. Navy personnel, government officials, and invited guests, giving it the nickname "The Forbidden Isle". Beginning in 1987, a limited number of supervised activity tours and hunting safaris have opened to tourists. The island is currently managed by brothers Bruce Robinson and Keith Robinson. Niʻihau is located about 18 miles (29 km) west of Kauaʻi, and the tiny, uninhabited island of Lehua lies 0.7 miles (0.61 nmi; 1.1 km) north of Niʻihau. Niʻihau's dimensions are 6.2 miles by 18.6 miles (10 km x 30 km). The maximum elevation (Paniau) is 1,280 feet (390 m). The island is about 4.9 million years old, making it geologically younger than the 5-million-year-old neighboring island of Kauaʻi to the northeast. Niʻihau consists of one extinct volcano that had a large landslide to the east. As an arid island, Niʻihau was barren of trees for centuries — Captain James Cook reported it treeless in 1778. Aubrey Robinson, grandfather of current owners Bruce Robinson and Keith Robinson, planted 10,000 trees per year during much of his ownership of the island; Robinson's afforestation efforts increased rainfall in the dry climate. Island co-owner Keith Robinson, a noted conservationist, preserved and documented many of Niʻihau's natural plant resources. The island is designated as a critical habitat for the ʻōlulu, an endemic and endangered species of Hawaiian lobelioid. Aylmer robinsonii, a Pritchardia palm tree named for Keith Robinson's uncle Aylmer Robinson, is an endangered species native to Niʻihau. Map of Yam Bay and Niʻihau, Captain George Dixon's Journal, 1788. Kamehameha managed to unify all of the islands by 1795, except for Kauaʻi and Niʻihau:  Two attempts to conquer those islands had failed, and Kamehameha lost many men: bodies covered the beaches on Kauaʻi's eastern shores. Finally, in 1810, Kamehameha amassed a great fleet, and Kaumualiʻi, the last independent aliʻi, surrendered rather than risk further bloodshed. Independence again became feasible after Kamehameha's death in 1819, but was put down when Kamehameha's widow Kaʻahumanu kidnapped Kaumualiʻi and forced him to marry her. Thereafter Niʻihau remained part of the unified Kingdom of Hawaiʻi. 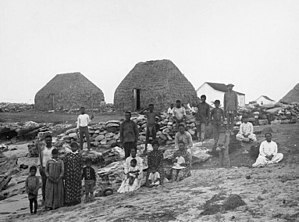 A group of villagers at Puʻuwai Beach settlement, Niʻihau in 1885. Photograph taken by Francis Sinclair, son of Elizabeth McHutchison Sinclair. Navy contractors from PMRF arrive at Paniau Ridge on Niʻihau in an Agusta A109 helicopter. The seabird sanctuary island of Lehua can be seen in the background. Residents generally speak the Niihau dialect of Hawaiian as their first language, in part encouraged by terms in the original purchase contract which obligated the new owners to help preserve Hawaiian culture and tradition. The Niʻihau dialect differs from modern standard Hawaiian in that, for example, [t] and [ɾ] are the most common realizations of the phonemes /k/ and /l/, respectively. Niʻihau is the only island where Hawaiian is spoken as a primary language. 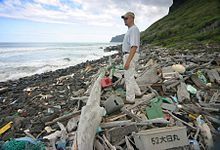 Oral tradition maintains that the Niʻihau dialect is closer to the Hawaiian register spoken during the time of contact with Europeans; there is linguistic evidence to support this claim, such as the pronunciation of k as /t/. [ citation needed] English is the second language. Niʻihau's owners have offered half-day helicopter and beach tours of the island since 1987,  although contact with residents is avoided and no accommodation exists. Since 1992,  hunting safaris provide income via tourists who pay to visit the island to hunt eland, aoudad, and oryx, as well as wild sheep and boars. Any meat the hunters do not take with them is given to the village. ^ Tabrah 1987, pp. 10–11. ^ Tabrah 1987, p. 49. ^ "Puuwai, HI Monthly Weather Forecast". The Weather Channel. Retrieved 2018-05-07. ^ Lloyd J. Soehren (2010). "lookup of Nonopapa Lake". in Hawaiian Place Names. Ulukau, the Hawaiian Electronic Library. Retrieved September 24, 2010. ^ Tava, Rerioterai; Keale, Moses K. (1990). Niihau: The Traditions of a Hawaiian Island. Honolulu: Mutual Publishing Company. p. 95. OCLC 21275453. ^ Tava & Keale 1998, p. 13. ^ Kam, Nadine (2004-05-17). "The real deal: Genuine Niihau shells have lasting quality". Features. Honolulu Star-Bulletin. Retrieved 2007-07-21. ^ Tava & Keale 1998, pp. 13–14. ^ Coulter, John Wesley (1964). "Great Britain in Hawaii: The Captain Cook Monument". The Geographical Journal. 130: 2. doi: 10.2307/1794586. ^ Gay, Lawrence Kainoahou (1981). Tales of the forbidden island of Niʻihau. Topgallant Publishing. p. 17. ISBN 0-914916-43-2. ^ Bird, Isabella L. (2006). The Hawaiian Archipelago. BiblioBazaar. p. 212. ISBN 1-4264-4990-9. ^ Joesting, Edward (1988). Kauai: The Separate Kingdom. University of Hawaii. p. 188. ISBN 0-8248-1162-3. ^ Van Dyke, Peter (June 2001). "Growing Makaloa (Cyperus laevigatus L. ) in Constructed Wetlands for Weaving and Treating Wastewater: Final report for U.S. Geological Survey Grant No. 99CRGR0003" (PDF). Bishop Museum. ^ Nieuwint, Joris. "4789904038_81ca14b47a_b - WAR HISTORY ONLINE". ^ The Niʻihau Incident serves as the backdrop for Caroline Paul's 2006 novel East Wind, Rain ( ISBN 0-06-078075-4) and the opening chapter of Michelle Malkin's In Defense of Internment. ^ a b Sommer, Anthony. "Niihau: Opening Up." Honolulu Star-Bulletin. May 14, 1999. ^ Tabrah 1987, p. 1. ^ Bemis, Samuel Flagg (December 1949). "The Memoirs of Cordell Hull". The Journal of Modern History. University of Chicago Press. 21 (4): 317–320. doi: 10.1086/237294. ^ Hawaii 2004 election results for precinct 16-09. Hawaii.gov. Retrieved April 21, 2006. ^ "General Election 2006 - State of Hawaii - Statewide **FINAL SUMMARY REPORT**". November 7, 2006. Retrieved June 1, 2018. ^ "Office of Elections" (PDF). ^ "Who Voted For Donald Trump In Hawaii?". Honolulu Civil Beat. 18 November 2016. Retrieved 6 March 2017. ^ "Profile of General Population and Housing Characteristics: 2010 Demographic Profile Data" (PDF). US Census Bureau. Retrieved 24 April 2017. ^ "That's Just How I Rule". This American Life, 2017. 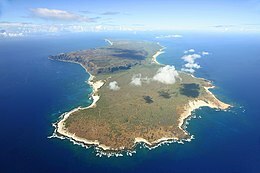 ^ "Ni`ihau Island Today - Learn about the Forbidden Island of Ni`ihau". ^ Langlas, Charles and Kehaulani Shintani. "Mälama ka ‘Äina: To Care For The Land" [review]. CRM: The Journal of Heritage Stewardship. Vol. 3 No. 1 (Winter 2006). ^ Olsen, Eric P. (October 2001). "Paradise Preserved". World & I. 16 (10): 108. ^ Enomoto, Catherine Kekoa (1997). "Niihau: Island at a Crossroad". Honolulu Star-Bulletin. ^ "Niihau - Hawaii's "Forbidden Island"". Kauai Visitor Magazine. Archived from the original on 2006-12-30. Retrieved 2007-06-19. ^ Crites, Jennifer (October–November 2007). "The Ipu Guy". Hana Hou!. 10 (5). Retrieved 2007-10-18. This method developed [ circa AD 1600] only on Niʻihau—- nowhere else in the world—- and then vanished at the end of the 19th century," explains Harburg. "It was lost until Dr. Bruce Kaʻimiloa Chrisman figured out how it was done. ^ Bordessa, Kris (2007). "The Lost Ipu Art of Niʻihau". Craft:. 4. ^ Tava & Keale 1998, p. 105. ^ Gehrlein, Rachel (2007-12-15). "Niʻihau school first in state on solar power". The Garden Island. ^ Hawaii State Department of Education. "Niʻihau School". ^ Tava & Keale 1998, pp. 36–37. ^ Moriarty, Linda Paik (1986). Niʻihau Shell Leis. University of Hawaii Press. ISBN 0-8248-0998-X. ^ H.B. No. 2569. See also: "Governor signs Niihau shell bill". Pacific Business News. 2004-05-24. Retrieved 2007-06-05. ^ Tava & Keale 1998, p. XV. ^ Tava & Keale 1998, pp. 66–67. ^ "Flying visitors can catch glimpse of "The Forbidden Isle"". The Globe and Mail. 1987-08-15. ^ Christine, Rodrigo (1992-04-06). "Safaris debut on Forbidden Island". Pacific Business News. Fisher, Harvey I. (Jan–Feb 1951). "The Avifauna of Niihau Island, Hawaiian Archipelago". The Condor. Cooper Ornithological Society. 53 (1): 31–42. doi: 10.2307/1364585. ISSN 0010-5422. JSTOR 1364585. Macdonald, Gordon A.; Agatin T. Abbott; Frank L. Peterson (1983) . Volcanoes in the Sea: The Geology of Hawaii (2nd ed.). Honolulu: University of Hawaii Press. ISBN 0-8248-0832-0. Mitchell, C.; C. Ogura; D.W. Meadows; A. Kane; L. Strommer; S. Fretz; D. Leonard; A. McClung (2005-10-01). "Hawaii's Comprehensive Wildlife Conservation Strategy. Chapter 6: Island Conservation Needs - Niʻihau" (PDF). Final. Department of Land and Natural Resources. Retrieved 2009-03-23. Morgan, Joseph R. (1996). "Kaua'i and Ni'ihau". Hawai'i: A Unique Geography. The Bess Press. ISBN 1-57306-021-6. Nordyke, Eleanor C. (1989). The Peopling of Hawaiʻi. University of Hawaii Press. ISBN 0-8248-1191-7. Shearer, Barbara Smith (2002). State Names, Seals, Flags, and Symbols: A Historical Guide (3 ed.). Greenwood Publishing Group. ISBN 978-0-313-31534-3. Sommer, Anthony (1999-05-14). "Niihau: Opening Up". News. Honolulu Star-Bulletin. Retrieved 2009-07-23. Wichman, Juliet Rice; St. John, Harold (1990). A Chronicle and Flora of Niihau. National Tropical Botanical Garden. ISBN 0-915809-14-1. Wikimedia Commons has media related to Niihau. Barnhart, Sky (July 2008). "The Flowers of Niihau". Maui Nō Ka ʻOi Magazine. 12 (4). Retrieved 2009-08-17. Clark, John R. K. (1990). Beaches of Kauaʻi and Niʻihau. Honolulu, Hawaii: University of Hawaii Press. pp. 79–102. ISBN 0-8248-1260-3. Conover, Adele; Gary Braasch (November 1996). "A Onetime Rancher Wages Lonely War to Save Rare Plants". Smithsonian. Smithsonian Institution. 27 (8): 114. Daws, Gavan; Timothy Heap (October 1962). "Niihau a shoal of time". American Heritage. American Heritage Publishing Company. 14 (6). Retrieved 2008-05-06. Laracy, Hugh (September 2001). "The Sinclairs of Pigeon bay and the Romantic 'Pre-history' of the Robinsons of Niihau". Journal of Pacific History. Routledge. 36 (2): 183–199. doi: 10.1080/00223340120075560. Licayan, Emalia; Nizo, Virginia; Kanahele, Elama (2007). Kanahele, Elama; Armitage, Kimo; NeSmith, Keao (eds.). Aloha Niihau: Oral Histories. Waipahu, Hawaii: Island Heritage Publishing. ISBN 1-59700-209-7. Paul, Caroline (2007). East Wind, Rain. Harper Perennial. ISBN 0-06-078076-2. Stepien, Edward R. (1988) . Niʻihau, A Brief History. 1. Honolulu: Center for Pacific Islands Studies, School of Hawaiian, Asian, & Pacific Studies, University of Hawaii at Manoa. pp. 1–134. hdl: 10125/15544. Stepien, Edward R. (1988) . Niʻihau, A Brief History. 2. Honolulu: Center for Pacific Islands Studies, School of Hawaiian, Asian, & Pacific Studies, University of Hawaii at Manoa. pp. 135–268. hdl: 10125/15544.